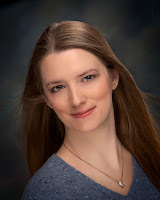 Lost at Midnight Reviews: A Change of Scenery: Jodi Meadows author of Incarnate! A Change of Scenery: Jodi Meadows author of Incarnate! 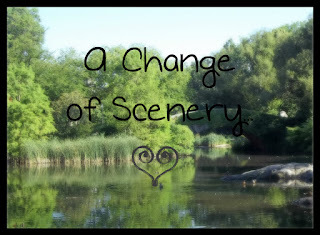 Today marks the last day for my guest post series "A Change in Scenery"! I hope you have enjoyed the posts this week, I know I have! I decided to leave this post for last, since I pretty much fainted when I got the email. 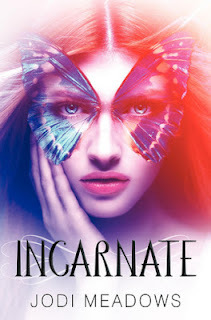 I am delighted to welcome Jodi Meadows, author of Incarnate, onto the blog! Jodi has written an awesome blog post on how setting affects her novel! How does setting affect tone/feel/direction of a novel, specifically INCARNATE? This is probably one of the most interesting questions I’ve been asked about the series. Before we start, I have to admit: I’m going to talk about all this like it was by design, but the truth is that much of my writing process is instinctual. Even when I plan ahead, I still feel my way into worlds and stories. The first draft is all about discovery. It’s about exploring a world I’ve read travel guides about, but never visited. It’s about getting to know characters I’ve heard about, but never met until I type the first sentence. Even so, I need to understand why things work and what will make them stronger. An architect can have a great idea for a new high-rise building, but if s/he doesn’t understand how tall buildings stay up, the whole tower will come tumbling down. So when I’ve written my first draft and I’m starting on edits, I need to be able to look over what I have and get it into a structure that is stable. INCARNATE is set in a world where everyone is perpetually reincarnated and they remember every lifetime. Everyone except Ana, that is. The premise requires a new world to accommodate it, and since worldbuilding is a process I really enjoy, I let myself go wild with it, adding dragons and sylph and dozens of other creatures. I didn’t think about why these things were present, only that they were. But then I had this world filled with mysteries and questions waiting to be answered. In order to satisfy the reader, those mysteries must be explored. I needed to get Ana moving in a direction that would begin answering those questions. Like the reader, Ana is new to this crazy world, making her the perfect character to narrate the story. As Ana discovers more about the world she was born into, so does the reader. INCARNATE begins with questions about Ana’s existence. Naturally, she’s curious about why she’s the first (and only!) new soul in the whole world. As she begins to look into her origins, the reader is introduced to new questions, like why do dragons attack the temple, and what are the sylph? Why do characters have trouble remembering certain things, and why do they put up with so many inconsistencies in their own lives? By the end of INCARNATE, a few questions have been answered, but even more new questions have been introduced. ASUNDER answers questions and asks even more. By the end of book 3, Ana -- and the reader -- should have a much clearer picture of the world than in the beginning of the series. One of the challenges of unfolding the mystery of the world is, of course, figuring out when to reveal information and when to ask questions. No single way is going to satisfy every reader, so the writer will always have to use their best judgement (and the judgement of their critique partners/agent/editor) when it comes to dolling out information in a non-boring way. So, circling back to the original question: The mysteries of the world must be answered in order to provide a satisfying journey for the reader. If the story wasn’t set in a world filled with mysteries, the book would no doubt be much different! Jodi Meadows can be found on Twitter, Facebook, and her website. Thank you SO MUCH Jodi for stopping by the blog! So great to see an author's perspective on the question! Well, that's all for now! Hope you guys enjoyed and thanks for reading!